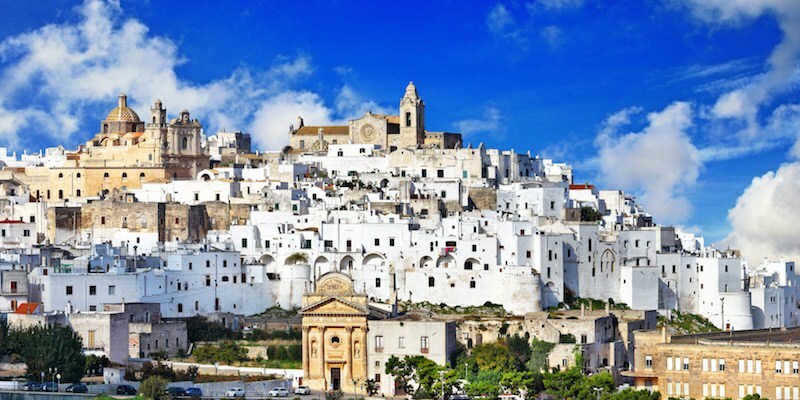 Often overlooked by visitors to Italy, Puglia is perhaps the countries best hidden treasure. With crystal-clear waters, elegant Baroque cities, fantastic cuisine, and charming hill towns, this region has everything a traveler could want—with less crowds and lower prices. And if you're thinking of visiting, here's what you need to know. 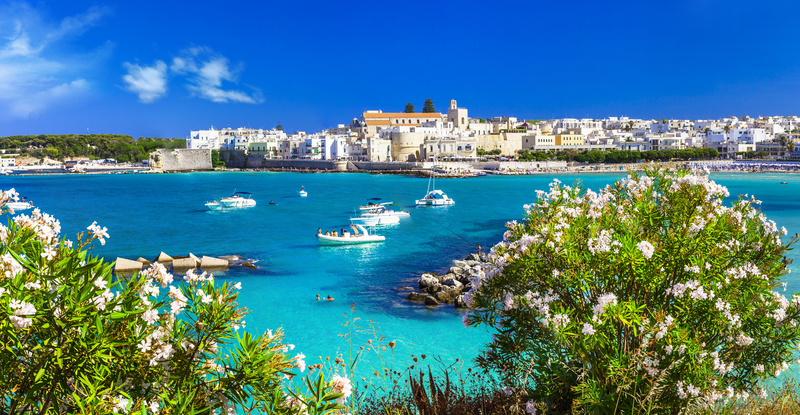 Making up the heel of the boot-shaped Italian peninsula, Puglia is Italy’s eastern-most region. It has an area of 7,474 square miles (19,358 sq km), and a population of just over 4 million. The region’s capital is Bari. Most of Puglia is an open, relatively-flat plain, making the area ideal for agriculture. 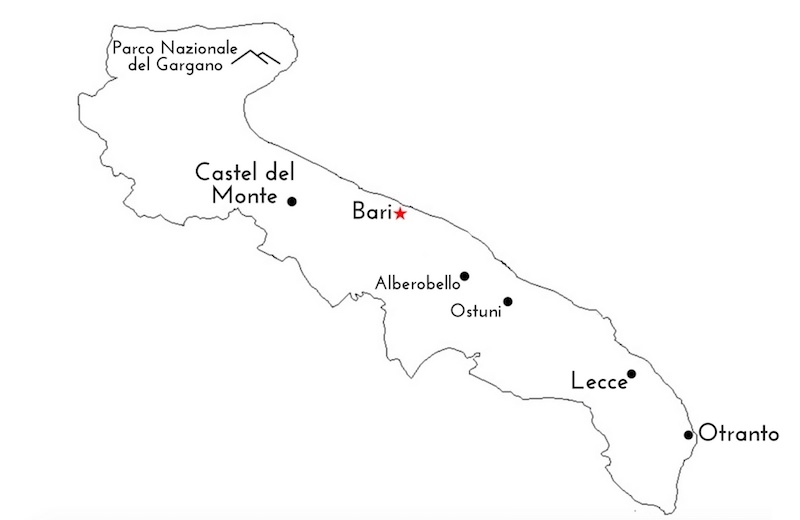 The only mountainous area is in the north, in what is today the Parco Nazionale del Gargona. What should I do in Puglia? 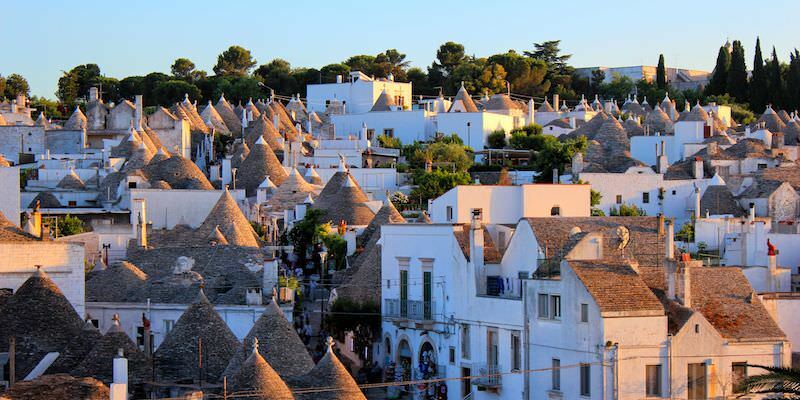 From afar, Alberobello’s trulli—traditional dry stone huts with canonical roofs—look like a bizarre type of grey and white fungus. But when you set foot on its charming streets, you realize that it’s one of the most magical—and unusual—places you’ll ever visit. Constructed without mortar to avoid a tax levied on permanent structures, the trulli of Alberobello are now studied by housing engineers who are amazed at the buildings’ natural ability to retain heat in the winter and provide a cool residence in the summer. Rent one out from a local; perhaps you’ll be staying in the housing of the future. 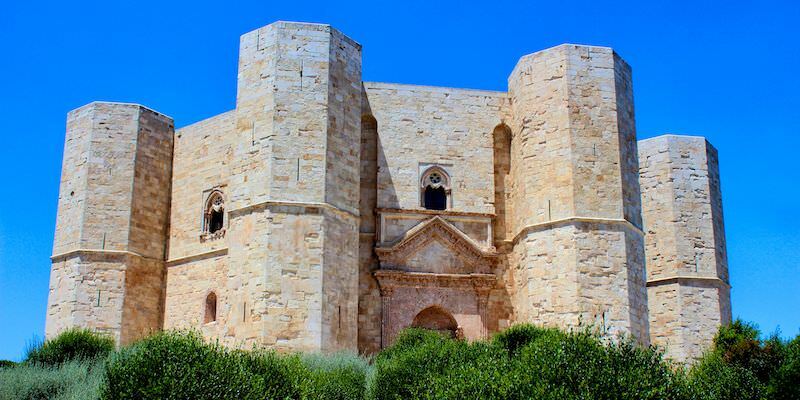 Castel del Monte suddenly emerges from the Puglian countryside; massive, regular, slightly absurd. Built by the Holy Roman Emperor Frederick II in the 1240s, today it seems out of place in an full of wineries and olive orchards. But that’s precisely the reason the Castle del Monte was built here—to protect the Emperor’s important agricultural holdings. Visitors find a fortress designed to defend and impress, which it certainly does. As the spur on the boot that is the Italian peninsula, everyone is at least geographically familiar with the Parco Nazionale del Gargano, even if they don’t realize it beforehand. 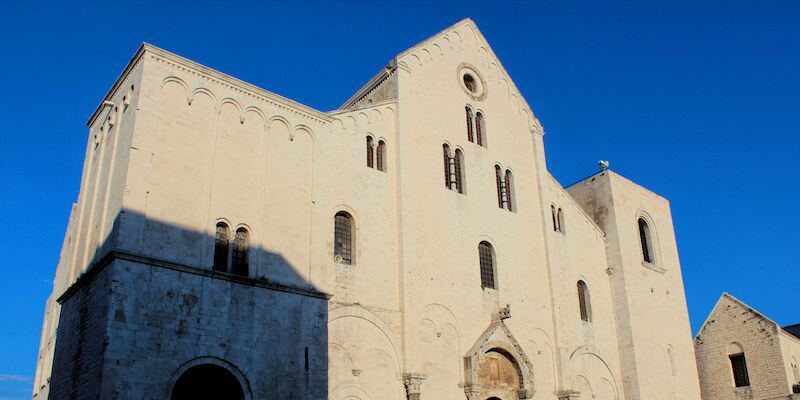 This beautiful piece of coastal territory is the perfect place to hike, admire the azure water of the Adriatic sea, and find unexpected architectural gems like the Sanctuary of Monte Sant’Angelo. 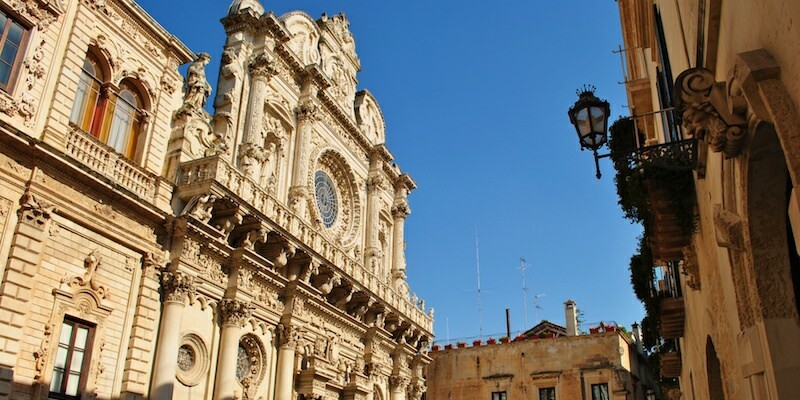 Known as the ‘Florence of the South’, Lecce is famed for its magnificent baroque architecture, built from the local limestone. Few foreign tourists come here, which is both a shame and a blessing. Spend a night in Lecce, walking the honey-colored streets after a sumptuous meal and a few glasses of local wine and you won’t regret it. The White City, or ‘Città Bianca’ as Italians call it, is also known as ‘Salentoshire’ for the large number of British expats living in the area. If you can get over the invasion of Brits, you’ll find a stunningly-beautiful city perched perfect atop a hill. If you can’t, nearby towns like Martina Franca are equally as enjoyable, if not more Italian. Travelers looking for a quiet place to enjoy the beach and good seafood will find it in Otranto. It also happens to be the setting for the world’s first Gothic novel—the Castle of Otranto! If you love southern Italy, you’ll love Bari—Puglia’s capital city—especially the città vecchia (old city). Strangely exotic and surprisingly confusing, this maze of narrow streets, dead-end courtyards, and makeshift bazaars is one of Italy’s more evocative spaces. The locals move their living rooms and kitchen into the streets, preferring to eat, play, and rest in the open air during the summer months. In fact, it’s sometimes hard to figure out where—if at all—the distinction between public and private is made. As a visitor, it’s and intimate and exciting space to explore. Oh, and it’s also the home of Santa Claus (see below). What should I eat and drink in Puglia? Rooted in the region’s soil, and molded to fit its often impoverished history, the cuisine of Puglia is usually very simple (even by Italian standards). Pasta, olive oil, a few vegetables, maybe some cheese; these are often the sole ingredients. Yet this tendency towards straightforwardness does not mean Pugliese food is bland. On the contrary, you will eat very well here. As is the case in most parts of Italy, ingredients are fresh and local. Street food is excellent and great little restaurants can seemingly be found in every neighborhood. 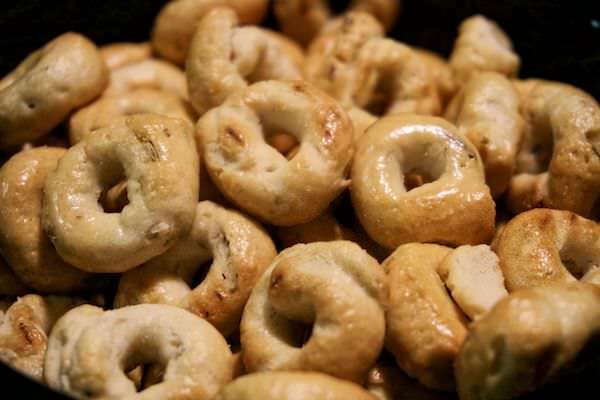 These baked, donut-shaped crackers are everywhere in Puglia—and make the perfect snack whether you’ve just come home at 5 AM from the discoteca in Bari or lounging by the water in Otranto. Their texture is similar to a pretzel, and they often are covered with spices like fennel. Named for their shape—orecchiette means ‘little ears’ in Italian—this is Puglia’s most popular pasta. It is traditionally made with just water and flour, as eggs were often an unaffordable luxury in the region. 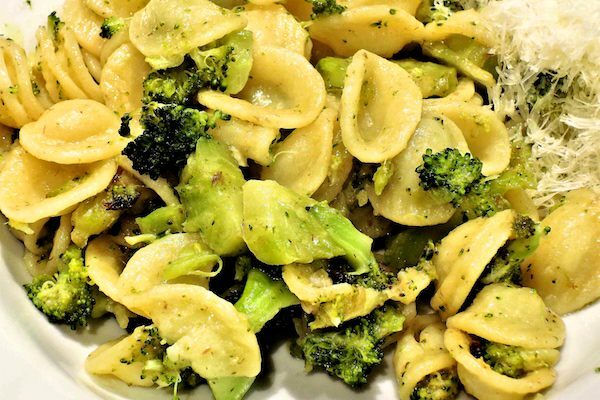 The classic way to serve orecchiette is with a sauce of cime di rapa (seen above), which is essentially leafy broccoli. 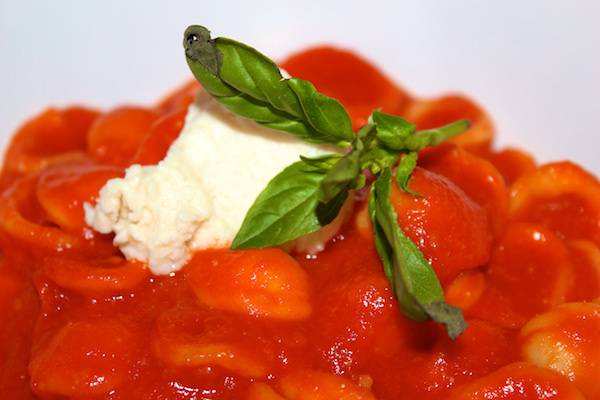 It is also often made al pomodoro (with tomato sauce), basil, and ricotta forte (see below). 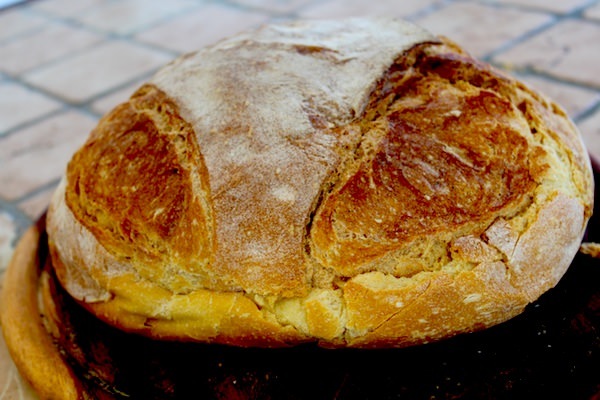 It’s the only bread with a Denominazione d’Origine Protetta (D.O.P. )—an E.U. designation that protects the names of traditional foodstuffs from being co-opted by inferior products—so you know Pane di Altamura is good. For (literally) thousands of years travelers have been marveling at the deliciousness of the bread made in the Altamura area, as the Roman poet Horace did when he described it as the “best bread in the world.” The best way to understand why it’s so good is to taste it, but the secret is in the flour, which is double-milled to produce a thick-crusted (regulations require at least 3mm), slightly-nutty loaf. 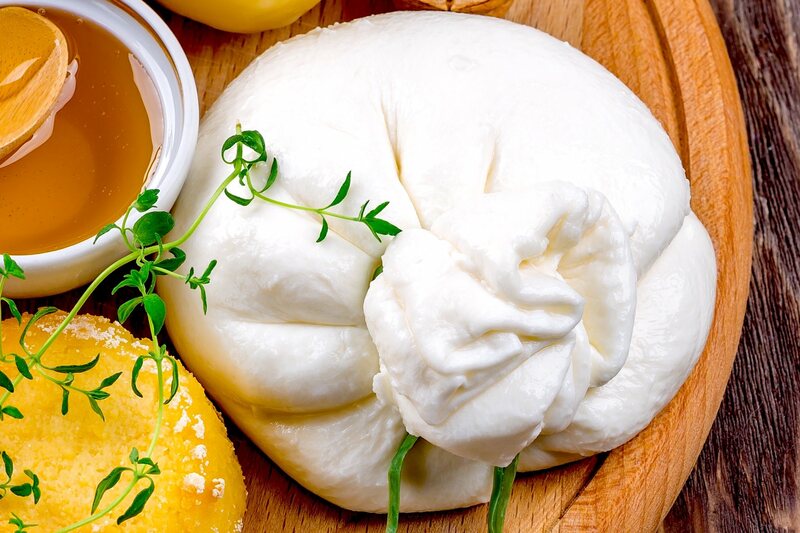 It might look like a normal ball of mozzarella, but when you cut into burrata you find a delicious surprise. Inside is a mouth-watering mixture of cream and stracciatella—shreded buffalo-milk cheese—that just begs to be devoured instantly. A traditional burrata pouch is either tied off or garnished with asphodel leaves. If they’re still green when the cheese is served to you, it’s a guarantee that the burrata is still fresh. 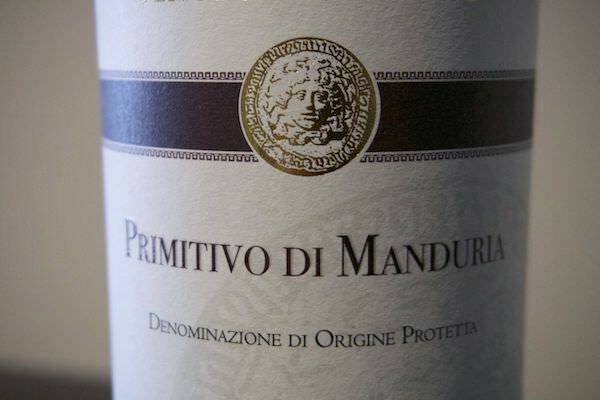 If you’re a lover of California wines, chances are you’ve probably already tried the grape responsible for the Puglian wine known as Primitive di Manduria. The primitivo grape originally comes from the Croatian coast, but it was brought to Puglia in the 1800s, around the same time it was also transported—via Vienna—to the United States, where it become better known as Zinfandel. The Italian name (meaning primitive) comes from the fact that the grape ripens earlier on the vine. The resulting wine is rich and bold, with a more earthly flavor than its American cousin. This is not for the fait of heart (or mouth). Ricotta forte is essentially the spoiled remains of regular ricotta. Perhaps unsurprisingly, the result is a cheese that’s pungent enough (in taste, not smell) to numb your tongue the moment you put it to your mouth. If you’re not interested in spending the rest of the day feeling as though you’ve come back from the dentist, I strongly suggest trying ricotta forte with a pasta like orecchiette al pomodoro (the tomatoes help to lessen the sting) or at the very least atop some bread. There are no direct flights to Puglia from the United States. One must first connect via a larger European city, such as Rome or Milan, from which you can continue to airports in Bari or Brindisi. Direct flights to both airports can be found from numerous countries in Europe. If traveling within Italy, Alitalia provides the most flights to the region. A new high-speed train runs between Rome and Bari in around 4 hours. Puglia is linked to Greece, Albania, Montenegro, and Croatia by regular ferries in the summertime. While regional buses and trains do exist, by far the easiest way to get around Puglia is by car. Having your own vehicle allows you to explore the region’s many hidden villages and picturesque valleys on your own terms. The roads are fine and the prices for rental are reasonable. 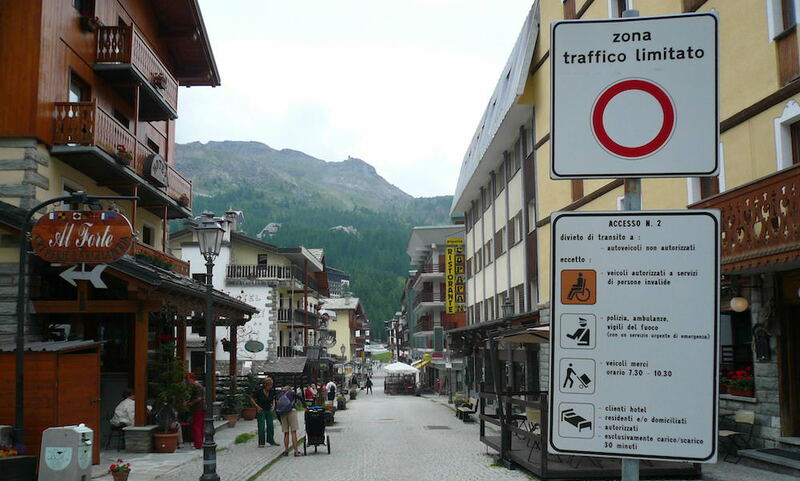 Many historic town centers restrict access at certain times (there should be signage [see below] or a red/green light notifying you of the current status), but there are almost always paid parking lots within walking distance of the center. A typical sign indicating an area is a limited traffic zone. CC by 3.0--photo by Alain Caraco. If you decide to rent, get as much insurance as possible. Since the majority of cars in Puglia have at least one scratch or dent, it’s worth the protection. Renting from a reputable international dealer is encouraged, as some less-scrupulous agencies have been known to send bills months and years later for bogus repairs. To reduce your risk, photograph your vehicle before leaving the rental lot and when you return your vehicle clarify that you’re not being charged for any damage. -Along with being the world’s only 8-sided castle, Puglia’s Castel del Monte is pictured on the one-cent Italian Euro coin. -Puglia is the flattest region in Italy, making it a biker’s paradise. -According to legend, St Nicholas—the 3rd century Greek saint whose remains are interred at Bari’s Basilica di San Nicola—was said to have provided gold and foodstuffs to Christian people in need. Over the centuries, these stories grew more elaborate, and his feast day—December 6—became a celebration of generosity. To this day, Children in Europe hang stockings or leave out shoes with hopes of receiving a gift form the Saint, who is better known today in English-speaking countries by the name Santa Claus. -The famed Appian Way, which has its starting point in Rome, ends in Brindisi, a city on the Puglian coast. -Puglia is home to over 50 million olive trees, many of which are hundreds of years old. The region produces 40% of Italy's olive oil, or 60 million liters a year. Puglia's olive trees are so highly-prized that the Italian government had to create laws forbidding their removal from the region. -On a clear day you can see Albania from the southern coast of Puglia, near Otranto. -Puglia has more coastline than any other region in mainland Italy.